As used within this Disclosure Policy, “Jill Monaco Ministries” shall mean the Jill Monaco Ministries website jillmonaco.com (products, blog or video or audio), Jill Monaco personally, and any of their family members, agents, successors, and assigns. 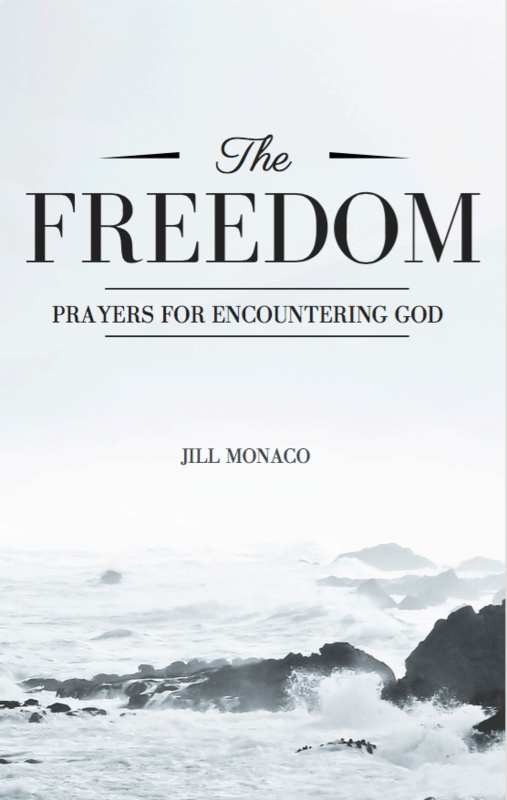 Jill Monaco Ministries is a personal website and is written and edited by Jill Monaco. The information presented on website is intended for adults; by reading this blog or purchasing on this website, you are stating that you are at least 18 years of age. Jill Monaco Ministries cannot be held responsible for any injuries, loss, or other consequences resulting from readership of this website or products, or any action taken as a result thereof. Any product claim, statistic, quote, or other representation about any suggested product and/or service should be verified with the manufacturer, provider, or party in question prior to relying upon any information presented within this website. No information provided by this website shall be construed as legal, financial, and/or medical advice. Jill Monaco reserves the right to remove and/or edit any content, including comments from blog readers, without notice. Any and all photos and text on this website not credited to an outside source are the intellectual property of Jill Monaco Ministries, which reserves all rights relating to such photos and content. Do not reproduce any blog, product, video or audio content without express written permission. If you would like to use this websites content, including, but not limited to photos, blog, or free products, please contact Jill Monaco at Jill [at] JillMonaco [dot] com. If permission is granted, such photos and/or text may not be edited or changed in any way. Any and all photos and/or text appearing on this website that are not original to Jill Monaco Ministries are credited to their sources. Such photos and/or text are believed to be in public domain and readily available on the Internet and are published according to the United States Copyright Fair Use Act, 17 U.S.C. § 107. Jill Monaco Ministries will not sell or purposefully provide your contact information to anyone without your permission. By entering a giveaway, you are giving express permission to provide the giveaway sponsor(s) with your contact information. Jill Monaco Ministries is a non-profit corporation. This website accepts form of cash advertising, sponsorship, paid insertions, and other forms of compensation. The compensation received may influence the content of this website. Although Jill Monaco Ministries may receive compensation for blog posts and/or advertisements, the opinions expressed are honest. All views and opinions expressed within this website are purely the blogger’s own and Jill Monaco Ministries is not paid to publish any positive reviews. Affiliate links may be used on this website and may not be individually identified as affiliate links. If you purchase an item through an affiliate link, Jill Monaco Ministries will receive an affiliate commission. Jill Monaco Ministries has no liability regarding products and/or services purchased and/or won through affiliate links or otherwise as a result of this website. JILL MONACO MINISTRIES’ online purchase services (“Services”) accepts credit cards and debit cards issued by U.S. banks. If a credit card or debit card is being used for a transaction, JILL MONACO MINISTRIES may obtain preapproval for an amount up to the amount of the order. Billing occurs at the time your transaction is processed. You agree that you will pay for all products you purchase through the Services, and that JILL MONACO MINISTRIES may charge your credit card for any products purchased and for any additional amounts (including taxes, as applicable) that may be accrued by or in connection with your purchase. All fees will be billed to the credit or debit card you designate during the checkout process. Your total price will include the price of the product plus any applicable sales tax; such sales tax is based on the bill-to address and the sales tax rate in effect at the time you download the product. We will charge tax only in states where digital goods are taxable. All sales of products are final. Prices for products offered via the Services may change at any time, and the Services do not provide price protection or refunds in the event of a price reduction or promotional offering. If a product becomes unavailable following a transaction but prior to download, your sole remedy is a refund. If technical problems prevent or unreasonably delay delivery of your product, your exclusive and sole remedy is either replacement or refund of the price paid, as determined by JILL MONACO MINISTRIES. JILL MONACO MINISTRIES and its shipping partners do not guarantee delivery and are not responsible for packages that are not delivered due to Acts of God/Inclement Weather/Shipper Mechanical Malfunctions. By pre-ordering products, you are authorizing JILL MONACO MINISTRIES’ Services to automatically charge your account when your order is processed. You may cancel your pre-order prior to the time the item becomes available. Your use of the Services includes the ability to enter into agreements and/or to make transactions electronically. YOU ACKNOWLEDGE THAT YOUR ELECTRONIC SUBMISSIONS CONSTITUTE YOUR AGREEMENT AND INTENT TO BE BOUND BY AND TO PAY FOR SUCH AGREEMENTS AND TRANSACTIONS. YOUR AGREEMENT AND INTENT TO BE BOUND BY ELECTRONIC SUBMISSIONS APPLIES TO ALL RECORDS RELATING TO ALL TRANSACTIONS YOU ENTER INTO ON THIS SITE, INCLUDING NOTICES OF CANCELLATION, POLICIES, CONTRACTS, AND APPLICATIONS. In order to access and retain your electronic records, you may be required to have certain hardware and software, which are your sole responsibility. JILL MONACO MINISTRIES is not responsible for typographic errors. This Service is available for individuals aged 18 years or older. The Service is available to you in the United States, its territories, and possessions as well as where US Mail International is delivered. You agree not to use or attempt to use the Service from outside these locations. JILL MONACO MINISTRIES may use technologies to verify your compliance. Use of the Service requires compatible devices, Internet access, and certain software (fees may apply); may require periodic updates; and may be affected by the performance of these factors. High-speed Internet access is strongly recommended for regular use. You agree that these requirements, which may change from time to time, are your responsibility. The Service is not part of any other product or offering, and no purchase or obtaining of any other product shall be construed to represent or guarantee you access to the Service. As a registered user of the Service, you may establish an account (“Account”). Do not reveal your Account information to anyone else. You are solely responsible for maintaining the confidentiality and security of your Account and for all activities that occur on or through your Account, and you agree to immediately notify JILL MONACO MINISTRIES of any security breach of your Account. JILL MONACO MINISTRIES shall not be responsible for any losses arising out of the unauthorized use of your Account. You agree to provide accurate and complete information when you register with, and as you use, the Service (“Registration Data”), and you agree to update your Registration Data to keep it accurate and complete. You agree that JILL MONACO MINISTRIES may store and use the Registration Data you provide for use in maintaining and billing fees to your Account. JILL MONACO MINISTRIES reserves the right to change content options (including eligibility for particular features) without notice. You agree that the Service and certain Products may include security technology that limits your use of Products and that, whether or not Products are limited by security technology, you shall use Products in compliance with the applicable usage rules established by JILL MONACO MINISTRIES and its licensors (“Usage Rules”), and that any other use of the Products may constitute a copyright infringement. Any security technology is an inseparable part of the Products. JILL MONACO MINISTRIES reserves the right to modify the Usage Rules at any time. You agree not to violate, circumvent, reverse-engineer, decompile, disassemble, or otherwise tamper with any of the security technology related to such Usage Rules for any reason—or to attempt or assist another person to do so. Usage Rules may be controlled and monitored by JILL MONACO MINISTRIES for compliance purposes, and JILL MONACO MINISTRIES reserves the right to enforce the Usage Rules without notice to you. You agree not to access the Service by any means other than through software that is provided by JILL MONACO MINISTRIES for accessing the Service. You shall not access or attempt to access an Account that you are not authorized to access. You agree not to modify the software in any manner or form, or to use modified versions of the software, for any purposes including obtaining unauthorized access to the Service. Violations of system or network security may result in civil or criminal liability. (i) Except as otherwise provided herein, you shall be authorized to use Products for only noncommercial, nonprofit purposes including but not limited to Products marketed as curriculum, kits, song backgrounds, lyrics, series graphics, short films, and dramas. (ii) You shall be authorized to use the following Products only for individual, personal, noncommercial use: MP3 downloads, CDs, music charts, art, music DVDs, and conference DVDs. (iii) You shall be authorized to download one audio file per physical location. (iv) You shall be authorized to download one video Product file per physical location. Products may be downloaded only once and cannot be replaced if lost for any reason. Once a Product is downloaded, it is your responsibility not to lose, destroy, or damage it, and JILL MONACO MINISTRIES shall not be liable to you if you do so. The delivery of Products does not transfer to you any commercial or promotional use rights in the Products. Any exporting capabilities are solely an accommodation to you and shall not constitute a grant, waiver, or other limitation of any rights of the copyright owners in any content embodied in any Product. You acknowledge that, because some aspects of the Service, Products, and administration of the Usage Rules entails the ongoing involvement of JILL MONACO MINISTRIES, if JILL MONACO MINISTRIES changes any part of or discontinues the Service, which JILL MONACO MINISTRIES may do at its election, you may not be able to use Products to the same extent as prior to such change or discontinuation, and that JILL MONACO MINISTRIES shall have no liability to you in such case. Certain content, Products, and services available via the Service may include materials from third parties. JILL MONACO MINISTRIES may provide links to third-party websites as a convenience to you. You agree that JILL MONACO MINISTRIES is not responsible for examining or evaluating the content or accuracy and JILL MONACO MINISTRIES does not warrant and will not have any liability or responsibility for any third-party materials or websites, or for any other materials, products, or services of third parties. You agree that you will not use any third-party materials in a manner that would infringe or violate the rights of any other party and that JILL MONACO MINISTRIES is not in any way responsible for any such use by you. You agree that the Service, including but not limited to Products, graphics, user interface, audio clips, video clips, editorial content, and the scripts and software used to implement the Service, contains proprietary information and material that is owned by JILL MONACO MINISTRIES and/or its licensors, and is protected by applicable intellectual property and other laws, including but not limited to copyright. You agree that you will not use such proprietary information or materials in any way whatsoever except for use of the Service in compliance with this Agreement. No portion of the Service may be reproduced in any form or by any means, except as expressly permitted in these terms. You agree not to modify, rent, lease, loan, sell, distribute, or create derivative works based on the Service in any manner, and you shall not exploit the Service in any unauthorized way whatsoever, including, but not limited to, by trespass or burdening network capacity. You understand that you are prohibited from altering the Service or the Products in any manner, whether for personal or nonprofit purposes. You further understand and agree that you are prohibited from publishing or distributing the Services or the Products in any way including but not limited to through social media, your personal or corporate websites, Vimeo, YouTube or any other sharing medium. You agree that the Service and the Products are licensed solely to you and that the license is non-transferable. You understand and agree that you will not in any way transfer or sell the Service and the Products including through resale, gift or transfer of any kind. Notwithstanding any other provision of this Agreement, JILL MONACO MINISTRIES and its licensors reserve the right to change, suspend, remove, or disable access to any Products, content, or other materials comprising a part of the Service at any time without notice. In no event will JILL MONACO MINISTRIES be liable for making these changes. JILL MONACO MINISTRIES may also impose limits on the use of or access to certain features or portions of the Service, in any case and without notice or liability. All copyrights in and to the Service (including the compilation of content, postings, links to other Internet resources, and descriptions of those resources) and related software are owned by JILL MONACO MINISTRIES and/or its licensors, who reserve all their rights in law and equity. THE USE OF THE SOFTWARE OR ANY PART OF THE SERVICE, EXCEPT FOR USE OF THE SERVICE AS PERMITTED IN THIS AGREEMENT, IS STRICTLY PROHIBITED AND INFRINGES ON THE INTELLECTUAL PROPERTY RIGHTS OF OTHERS AND MAY SUBJECT YOU TO CIVIL AND CRIMINAL PENALTIES, INCLUDING POSSIBLE MONETARY DAMAGES, FOR COPYRIGHT INFRINGEMENT. JILL MONACO MINISTRIES’ trademarks, service marks, graphics, and logos used in connection with the Service are trademarks or registered trademarks of JILL MONACO MINISTRIES in the U.S. and/or other countries. Other trademarks, service marks, graphics, and logos used in connection with the Service may be the trademarks of their respective owners. You are granted no right or license with respect to any of the aforesaid trademarks and any use of such trademarks. If you fail, or JILL MONACO MINISTRIES suspects that you have failed, to comply with any of the provisions of this Agreement, JILL MONACO MINISTRIES, at its sole discretion, without notice to you may: (i) terminate this Agreement and/or your Account, and you will remain liable for all amounts due under your Account up to and including the date of termination; and/or (ii) terminate the license to the software; and/or (iii) preclude access to the Service (or any part thereof). JILL MONACO MINISTRIES reserves the right to modify, suspend, or discontinue the Service (or any part or content thereof) at any time with or without notice to you, and JILL MONACO MINISTRIES will not be liable to you or to any third party should it exercise such rights. JILL MONACO MINISTRIES DOES NOT GUARANTEE, REPRESENT, OR WARRANT THAT YOUR USE OF THE SERVICE WILL BE UNINTERRUPTED OR ERROR-FREE, AND YOU AGREE THAT FROM TIME TO TIME JILL MONACO MINISTRIES MAY REMOVE THE SERVICE FOR INDEFINITE PERIODS OF TIME, OR CANCEL THE SERVICE AT ANY TIME, WITHOUT NOTICE TO YOU. YOU EXPRESSLY AGREE THAT YOUR USE OF, OR INABILITY TO USE, THE SERVICE IS AT YOUR SOLE RISK. THE SERVICE AND ALL PRODUCTS AND SERVICES DELIVERED TO YOU THROUGH THE SERVICE ARE (EXCEPT AS EXPRESSLY STATED BY JILL MONACO MINISTRIES) PROVIDED “AS IS” AND “AS AVAILABLE” FOR YOUR USE, WITHOUT WARRANTIES OF ANY KIND, EITHER EXPRESS OR IMPLIED, INCLUDING ALL IMPLIED WARRANTIES OF MERCHANTABILITY, FITNESS FOR A PARTICULAR PURPOSE, TITLE, AND NONINFRINGEMENT. BECAUSE SOME JURISDICTIONS DO NOT ALLOW THE EXCLUSION OF IMPLIED WARRANTIES, THE ABOVE EXCLUSION OF IMPLIED WARRANTIES MAY NOT APPLY TO YOU. IN NO CASE SHALL JILL MONACO MINISTRIES, ITS DIRECTORS, OFFICERS, EMPLOYEES, AFFILIATES, AGENTS, CONTRACTORS, OR LICENSORS BE LIABLE FOR ANY DIRECT, INDIRECT, INCIDENTAL, PUNITIVE, SPECIAL, OR CONSEQUENTIAL DAMAGES ARISING FROM YOUR USE OF ANY OF THE SERVICES OR FOR ANY OTHER CLAIM RELATED IN ANY WAY TO YOUR USE OF THE SERVICES, INCLUDING, BUT NOT LIMITED TO, ANY ERRORS OR OMISSIONS IN ANY CONTENT, OR ANY LOSS OR DAMAGE OF ANY KIND INCURRED AS A RESULT OF THE USE OF ANY CONTENT (OR PRODUCT) POSTED, TRANSMITTED, OR OTHERWISE MADE AVAILABLE VIA THE SERVICE, EVEN IF ADVISED OF THEIR POSSIBILITY. BECAUSE SOME STATES OR JURISDICTIONS DO NOT ALLOW THE EXCLUSION OR THE LIMITATION OF LIABILITY FOR CONSEQUENTIAL OR INCIDENTAL DAMAGES, IN SUCH STATES OR JURISDICTIONS, JILL MONACO MINISTRIES’ LIABILITY SHALL BE LIMITED TO THE EXTENT PERMITTED BY LAW. JILL MONACO MINISTRIES SHALL USE REASONABLE EFFORTS TO PROTECT INFORMATION SUBMITTED BY YOU IN CONNECTION WITH THE SERVICES, BUT YOU AGREE THAT YOUR SUBMISSION OF SUCH INFORMATION IS AT YOUR SOLE RISK, AND JILL MONACO MINISTRIES HEREBY DISCLAIMS ANY AND ALL LIABILITY TO YOU FOR ANY LOSS OR LIABILITY RELATING TO SUCH INFORMATION IN ANY WAY. JILL MONACO MINISTRIES DOES NOT REPRESENT OR GUARANTEE THAT THE SERVICE WILL BE FREE FROM LOSS, CORRUPTION, ATTACK, VIRUSES, INTERFERENCE, HACKING, OR OTHER SECURITY INTRUSION, AND JILL MONACO MINISTRIES DISCLAIMS ANY LIABILITY RELATING THERETO. PRODUCTS CAN BE DOWNLOADED ONLY ONCE; AFTER BEING DOWNLOADED, THEY CANNOT BE REPLACED IF LOST FOR ANY REASON. YOU SHALL BE RESPONSIBLE FOR BACKING UP YOUR OWN SYSTEM, INCLUDING ANY PRODUCTS PURCHASED FROM JILL MONACO MINISTRIES THAT ARE STORED IN YOUR SYSTEM. BY USING THE SERVICE, YOU AGREE TO INDEMNIFY AND HOLD JILL MONACO MINISTRIES, ITS DIRECTORS, OFFICERS, EMPLOYEES, AFFILIATES, AGENTS, CONTRACTORS, AND LICENSORS HARMLESS WITH RESPECT TO ANY CLAIMS ARISING OUT OF YOUR BREACH OF THIS AGREEMENT, YOUR USE OF THE SERVICE, OR ANY ACTION TAKEN BY JILL MONACO MINISTRIES AS PART OF ITS INVESTIGATION OF A SUSPECTED VIOLATION OF THIS AGREEMENT OR AS A RESULT OF ITS FINDING OR DECISION THAT A VIOLATION OF THIS AGREEMENT HAS OCCURRED. THIS MEANS THAT YOU CANNOT SUE OR RECOVER ANY DAMAGES FROM JILL MONACO MINISTRIES, ITS DIRECTORS, OFFICERS, EMPLOYEES, AFFILIATES, AGENTS, CONTRACTORS, AND LICENSORS AS A RESULT OF ITS DECISION TO REMOVE OR REFUSE TO PROCESS ANY INFORMATION OR CONTENT, TO WARN YOU, TO SUSPEND OR TERMINATE YOUR ACCESS TO THE SERVICE, OR TO TAKE ANY OTHER ACTION DURING THE INVESTIGATION OF A SUSPECTED VIOLATION OR AS A RESULT OF JILL MONACO MINISTRIES’ CONCLUSION THAT A VIOLATION OF THIS AGREEMENT HAS OCCURRED. THIS WAIVER AND INDEMNITY PROVISION APPLIES TO ALL VIOLATIONS DESCRIBED IN OR CONTEMPLATED BY THIS AGREEMENT. JILL MONACO MINISTRIES reserves the right at any time to modify this Agreement and to impose new or additional terms or conditions on your use of the Service. Such modifications and additional terms and conditions will be effective immediately and incorporated into this Agreement. Your continued use of the Service will be deemed acceptance thereof. This Agreement constitutes the entire agreement between you and JILL MONACO MINISTRIES and governs your use of the Service, superseding any prior agreements between you and JILL MONACO MINISTRIES. You also may be subject to additional terms and conditions that may apply when you use affiliate services, third-party content, or third-party software. If any part of this Agreement is held invalid or unenforceable, that portion shall be construed in a manner consistent with applicable law to reflect, as nearly as possible, the original intentions of the parties, and the remaining portions shall remain in full force and effect. JILL MONACO MINISTRIES’ failure to enforce any right or provisions in this Agreement will not constitute a waiver of such or any other provision. JILL MONACO MINISTRIES will not be responsible for failures to fulfill any obligations due to causes beyond its control. The Service is operated by JILL MONACO MINISTRIES from its offices in the United States. You agree to comply with all local, state, federal, and national laws, statutes, ordinances, and regulations that apply to your use of the Service. All transactions on the Service are governed by Texas law, without giving effect to its conflict of law provisions. Your use of the Service may also be subject to other laws. You expressly agree that exclusive jurisdiction for any claim or dispute with JILL MONACO MINISTRIES or relating in any way to your use of the Service resides in the courts of the State of Texas. Risk of loss and title for all electronically delivered transactions pass to the purchaser upon electronic transmission to the recipient. No JILL MONACO MINISTRIES employee or agent has the authority to vary this Agreement. JILL MONACO MINISTRIES may notify you with respect to the Service by sending an email message to your Account email address or a letter via postal mail to your Account mailing address, or by a posting on the Service. Notices shall become effective immediately. I help coach high achievers and entrepreneurs to discover their passion and develop their brand by creating a game plan to advance and accelerate the Kingdom of God. Join the Freedom Coaching® Community and get a free e-book of prayers and the 6-week Freedom Challenge. You have Successfully Joined! 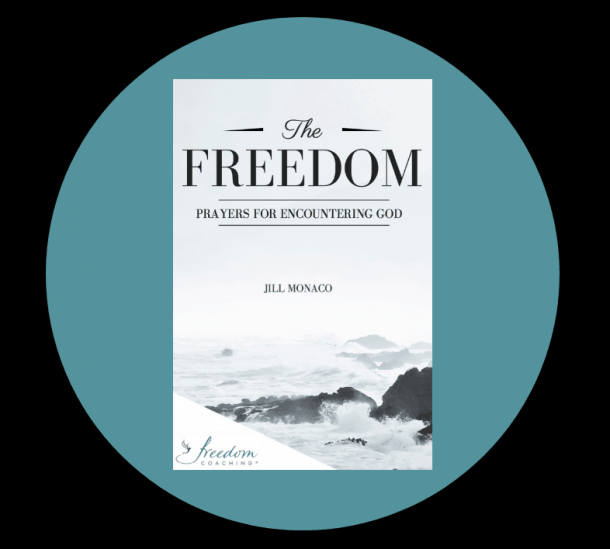 Check your inbox for your E-Book of Freedom Prayers! Do You Have A #BraveToo Story? There's only one way to find out about the new things we offer through the ministry. By joining our email list! You'll also receive a FREE Guide to Freedom Prayers once you confirm your email address. So be sure to look for it in your inbox! You have successful subscribed! Be sure to check your email for your free e-book!